Wesley Matthews Jr., however, wasn't swayed. He wanted to join the Pacers, who offered several familiar faces, a starting opportunity and the potential of a long-term future with the franchise. 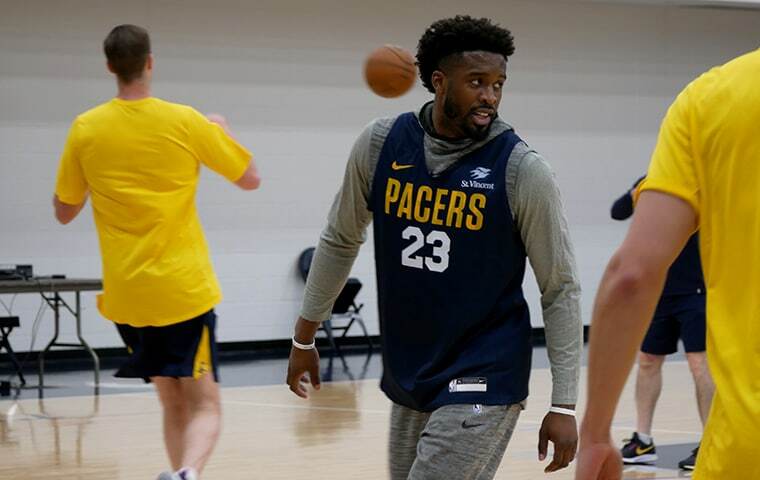 Matthews arrived in Indianapolis about 6 a.m. Sunday, then headed to St. Vincent Center where he signed a contract and took the practice court with his new teammates, whose enthusiasm over the addition was mutual. 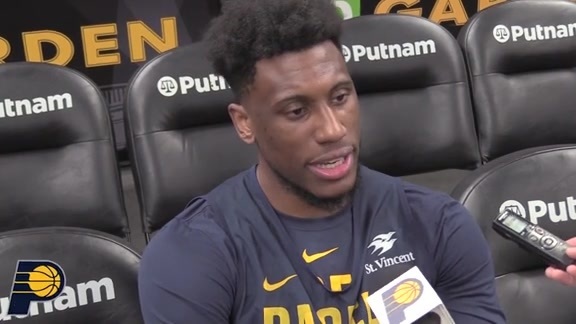 He will be in uniform for Monday's game against Charlotte, and will be in the starting lineup as soon as coach Nate McMillan believes he's comfortable with the offense. Another walkthrough Monday morning will hasten that process. McMillan clearly is eager to add another versatile player who should fit the team culture and toughen its demeanor. "He's one of the most competitive players I've worked with," McMillan said. "He's a self-made player since he didn't get drafted and has made himself into a starter in this league. All that has come through hard work." Asked why he chose the Pacers over the likes of Oklahoma City, San Antonio, and Philadelphia, Matthews launched into a 130-second explanation. 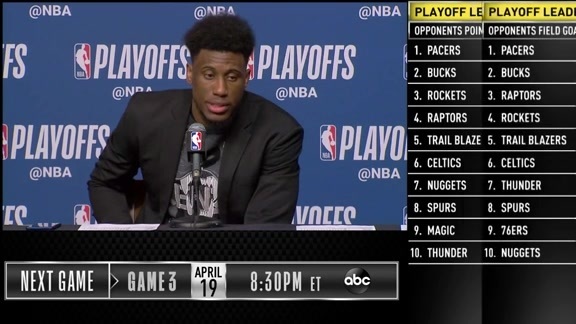 He played for coach Nate McMillan for two seasons in Portland, where he also crossed paths with Pacers President of Basketball Operations Kevin Pritchard, general manager Chad Buchanan and assistant coach Bill Bayno. 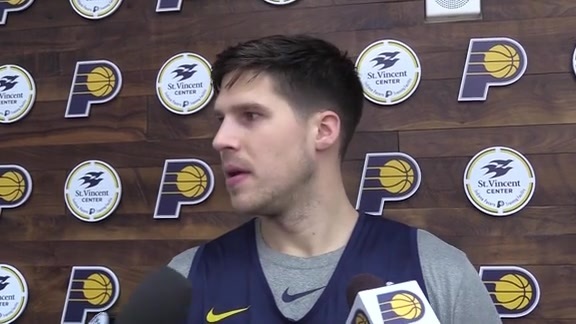 He played with Doug McDermott last season in Dallas, played on Sacramento's Summer League team with Tyreke Evans in 2009, played with Myles Turner and Domantas Sabonis in pickup games at the Mavericks' practice facility last summer, and has played against veterans such as Darren Collison and Thaddeus Young often enough to become casually acquainted. All that familiarity, as well as the front office's aggressive recruitment of him, helped him envision a comfortable fit that exceeded what any other team could offer him. "I was really attracted to the style of play – how they always carry themselves," Matthews said. "They play hard. They don't get as much notoriety as they should, being as good a team as they are. People on the outside overlook the Pacers a lot. They go hard every single night. They're dogs on the defensive end and on offense they move the ball and play the right way. "That kind of basketball is what wins. That kind of basketball is sustainable." Matthews also has been easy to overlook throughout his 10-season career as an undrafted player who's never received individual honors within the league. But he's started 91 percent of his 701 NBA games and earned respect as a leader and versatile player. At 6-foot-5 and 220 pounds, he can post up smaller guards. As a 38 percent career 3-point shooter, he can stretch defenses. He hit 38 percent in his 44 games with the Mavericks this season and once hit 10 of them in a 36-point outing against Washington in December of 2015. He's also an aggressive penetrator who rarely commits turnovers, averaging just 1.3 over his career in 32 minutes. He's regarded as a better defender than offensive player, though. He's relished the assignment of containing the likes of Paul George, Russell Westbrook and LeBron James in the past and will get more of those opportunities with the Pacers. McMillan believes the acquisition of Matthews allows him to put the pieces of his roster back in their proper place. Evans will return to the second unit, where he has more freedom to utilize his strengths. Edmond Sumner and Aaron Holiday will fall out of the playing rotation, but gained experience the past few weeks that could serve them well if they're called upon again. Matthews, given his history and familiarity, appears capable of fitting in seamlessly from the beginning. "He can be the missing piece to what we're trying to do here," Young said. "With Vic going down, we need a guy who's dynamic and with his character. He has a very highly competitive spirit. He brings a lot to the table defensively and offensively." McDermott and Matthews were teammates for 26 games with the Mavericks last season, and connected immediately. "Just a great guy; great leader," McDermott said. "He reminds me a lot of a guy like Thad in terms of leadership in the locker room. He hangs his hat on defense but he can really shoot the ball. Really good guy. I was with him only two months in Dallas, but we really connected. I felt like I knew him from Day One." Matthews' greatest intangible might be his hunger. His father starred for Wisconsin, was the 14th pick in the 1980 draft and played in nine NBA seasons – including two as a Laker against McMillan. Wesley Jr. was undrafted out of Marquette in 2009 but has exceeded his father's pro career by maintaining his hunger. He turned down a $140,000 contract offer out of college to play in Europe to take his chances in the NBA. He not only made Utah's roster, he wound up playing in all 82 games as a rookie and starting 48. A free agent after his rookie season, he signed with Portland, where he established relationships with Pritchard, Buchanan, Bayno, and McMillan that became reconnected on Sunday. 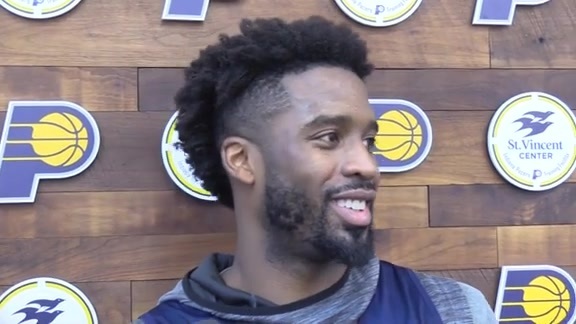 Matthews, 32, becomes the oldest player on the Pacers' roster but says he hasn't lost his desire to prove himself and improve his game. "I want to get better; every single year," he said. "There's no age limit on improvement. You can always get better at something. "I've always had an edge whether I was drafted or not. Even if I could have been drafted sixth there would have been five people who would have been drafted ahead of me and that would have created a chip on my shoulder. It's about respecting the game and having so much love for it, and the only way to do that is to leave everything out there." 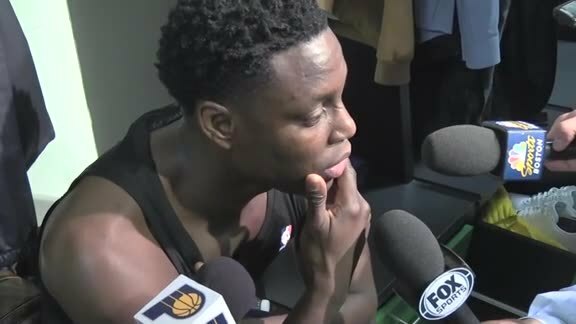 Matthews could remain a fit for the Pacers after Victor Oladipo returns from the injury that has sidelined him for the rest of the season. That's a decision for all parties to consider after the season. For now the task is to help the Pacers maintain the pace in the Eastern Conference playoff race, where they are currently running third, and then become a postseason factor. Asked Sunday how much thought he had given to joining "a serious contender," he answered with a question. "Why do you think Indiana isn't a serious contender?" he said. "It was about fit for me, and longevity. I still feel I have a lot of good years left in this league. I felt this was an opportunity I couldn't pass up. "I'm all about being the underdog, obviously. I don't see odds. I saw an opportunity...you feel something, you have to go with it."